The case Rix’s Creek Pty Limited; Bloomfield Collieries Pty Limited and Innovation Australia  AATA 645, refers to two related mining companies which registered and claimed for the R&D Tax Concession for the years 2008 to 2012. 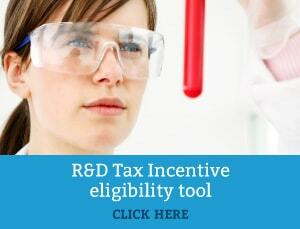 After reviews were conducted on the claimed activities, Innovation and Science Australia found that the majority of the activities were not eligible for the R&D assistance. The respective companies opposed this decision and applied to the Administrative Appeals Tribunal for an independent review. The following case refers to six projects, across three different categories and at two different mine sites. All the claimed activities took place in the context of two working mines; Rix’s Creek mine in Singleton and Bloomfield mine in East Maitland. Explosive project: Development of a new process for producing explosives using recycled refined oil from Rix’s Creek machinery. Excavator Project: New design and development of an improved bucket for the EX 3600 excavator in order to increase the payload achieve per pass. Excavator Project: Design and development of new processes and devices to increase load haul cycle efficiency in removing overburden at the Rix’s Creek open cut mine. DMS project: Trial, test, modify and redesigning a prototype device for measuring the density of a liquid used to separate coal from ground waste material. The activities involved the testing of the device in the production environment of coal handling and preparation plants. Excavator Project: Development of new methods for removing overburden to improve mine life. Improving operation efficiency, design and development of new and improved processes and devices for removing ROM product and overburden materials to improve mine life and operational efficiency. Explosives Project: Design and Development of a new process for replacing diesel fuel in the manufacture of bulk explosives incorporating recycled refined oil from mine machinery. 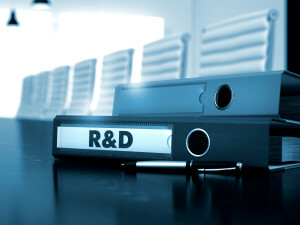 The overall concern raised by Innovation and Science Australia was that the companies were trying to characterise ordinary mining processes as R&D activities. The Tribunal decision resulted in concluding that the activities were ‘only tinkering with the overall design’. The project was considered grossly excessive in extent and time, highly repetitive, consisting of an excessive level of testing and disproportionate to the level of risk it attempts to mitigate. While it was claimed that periodic measurements were taken, there were no records found about the performance of the ‘important variables’. It was concluded by the Tribunal that the conducted and documented activities were not undertaken for the purpose of generating new knowledge and recognised purely as activities conducted during the ordinary business of mining. As the R&D tax incentive is not intended for ordinary business operations and cannot be claimed for this purpose the DMS project activities were concluded as not R&D and therefore ineligible for the incentive. It was concluded that the technical approach taken was relatively rudimentary and unsophisticated. The observation and measurements for each stage of the trials involved little, if any, more data than that which would be expected for normal blasting operations. Additionally, the trials lacked in outcome and the ability to convert informative data into information. While it is not a statutory requirement to have this evidence, it would have greatly assisted in establishing whether the activities were conducted in a systematic, investigative and experimental manner. Subsequently the Tribunal concluded that the activities lacked the required purpose of acquiring new knowledge or creating new or improved materials, products, devices, processes or services. The activities were considered as having a determined outcome and were incapable of proving to generate new knowledge. The activities did not uphold the R&D requirements and failed to be considered as R&D activities. The project used a one variable at a time (OVAT) approach which proves to only be effective if all variables are controlled, however this was not the case. The OVAT approach failed to establish the true relationships of the various affecting factors. If an activity is conducted in a production environment and it is not designed well enough to test the claimed hypothesis, it may be found ineligible. The Tribunal concluded that the approach used for the following project was incapable of producing meaningful results and therefore the activities were not systematic, investigative or experimental. As a result the excavator projects were also ineligible for the R&D Tax Incentive. The conducted activities failed to be of an adequate systematic, experimental or investigative nature and subsequently unable to demonstrate the generation of sufficient amounts of new knowledge. The projects showed to be too much of a routine business activity and failed to involve significant signs of innovation and high leveled technical risk. The outcome of the Rix’s Creek Pty Limited; Bloomfield Collieries Pty Limited v Innovation Australia  AATA 645 case was concluded as both companies being ineligible to receive the R&D Tax Incentive.